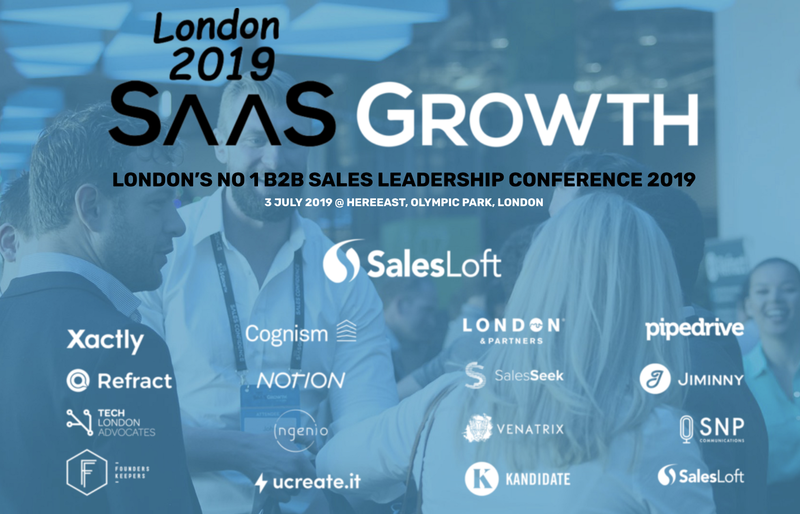 SaaSGrowth 2019 is London’s premier B2B sales and leadership conference. It is also a golden opportunity to boost your brand. Here are 7 reasons why. 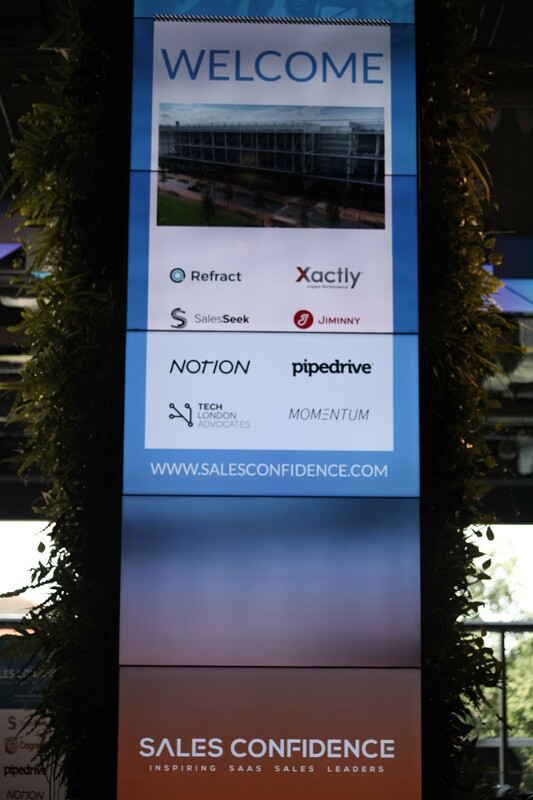 SaaSGrowth 2019 takes place on July 3rd at London’s Here East centre in the Olympic Park. You need to be there. In fact, here’s an article stating 10 reasons why you need to be there! then it’s time to take your involvement with SaaSGrowth to the next level. It’s time to become a SaaSGrowth sponsor. Here are 7 reasons why sponsoring SaaSGrowth 2019 will be the best decision you make all year. What’s on their mind 24/7? That’s right. Growth. Do you have a product that will help them grow their sales faster? Would you like the chance to demo your product for them? Do you want to build a list of contacts your competitors would kill for, all in one day? Sponsor SaaSGrowth and you get that opportunity. Time to shine. If you sell to the SaaS sales industry, you can bet that a good chunk of your customer base will attend SaaSGrowth 2019. Representatives from the top SaaS organisation in the UK (and beyond) will be there. Sponsoring SaaSGrowth gives you a base where you can meet all of them in person. You have the chance to sit down with them, share how things are going, talk about solutions. Make them think more deeply about you. Who knows, there could be some business in it for you? Your prospects will be there too. These are people who are thinking about buying your SaaS sales product attending an event all about SaaS sales. You will be on their mind! Be where your customers are. There is ROI and efficiency in face-to-face all in one place. SaaSGrowth is already the highlight of the London SaaS sales calendar. Did you go to last year’s event? If you did, you’ll remember that it was a massive success. The room was full of London’s foremost SaaS professionals. The line-up of speakers was fantastic. The talks were snappy and interactive. Even the weather was amazing (yes, I’m taking credit for that too!). This year, it’s going to be even better. The thing about SaaSGrowth is that it’s a fast-growing brand. It’s fun and exciting. Like your brand, right? Partnering up with SaaSGrowth is a chance to be remembered. Don’t let it pass you by. If you’re a Founder or VP of Sales in the SaaS sector, you have a terrific story to tell, but do you get to tell it as often as you would like? Your customers love to meet the top people at the companies that make the solutions they use every day. They want to hear how you made it, the secrets behind the story, what’s coming next. It’s a personal touch, and SaaSGrowth gives you the chance to do it at scale. Sponsoring SaaSGrowth gives you the opportunity to do what you do best, talk about your solution to people that matter. Make a name for yourself. OK sure, there are bigger conferences than SaaSGrowth, but there aren’t any as well-targeted as SaaSGrowth. The SaaSGrowth audience is wholly drawn from the SaaS sales sector. From SDR and BDM to Sales VP and Founder, you get all levels of experience at SaaSGrowth, but we’re all SaaS through and through. The people you get to talk to when you sponsor SaaSGrowth will speak your language. They will quickly understand how your product can help them grow. They will be decision-makers. There will be zero timewasters at SaaSGrowth. As a sponsor, you get to take advantage of our highly-targeted approach. You get one day to be a star of the show, to show the people that matter that you have the answer. We’ve talked about getting your product in front of the cream of the UK’s SaaS industry, but it’s also a chance to boost your name recognition. Our sponsors receive huge coverage at SaaSGrowth. Logos on everything, from the programmes to the massive screen on the main stage. You’ll get mentions from your host. If you would like to speak or be on a panel, that’s something we can talk about too! There aren’t many opportunities as unmissable as a SaaSGrowth sponsorship when it comes to boosting your presence in the SaaS industry. We already have a list of super sponsors who recognise the value of taking a presence at SaaSGrowth. Last year’s sponsors gave us amazing feedback, and they’re all back again this year. When it comes to lead gen, building relationships and enhancing their brand, the ROI of a SaaSGrowth sponsorship was extremely positive. Take a look at our sponsor list so far. Don’t you want to be part of it too? So there you have it. 7 reasons why sponsoring SaaSGrowth will be the best decision you make in 2019. Let’s make it happen. If you’d like to find out more, you can get in touch through LinkedIn or drop me an email at james.ski@salesconfidence.co . I can’t wait to tell you in person about SaaSGrowth and how we can help each other hit the heights.